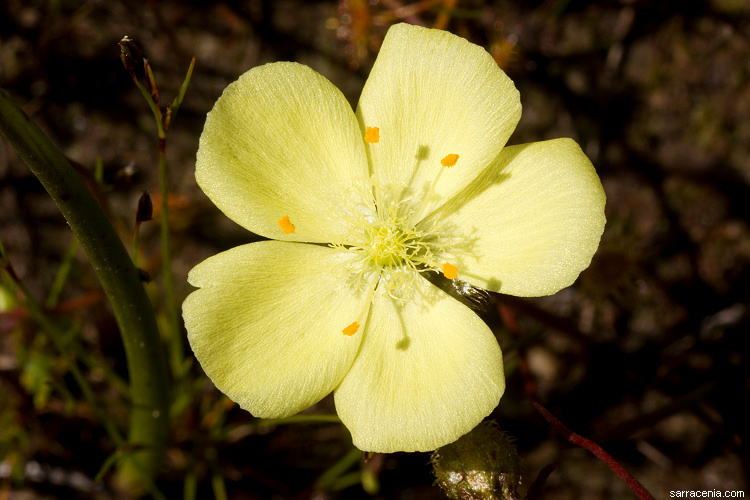 Here is another nice inflorescence, this time of Drosera intricata. Allen is powerfully interested in plants and natural history. This is expressed in conversation by the way the tone of his voice rises and falls, and the pace of his words speeds or slows, as he emphasizes points that were particularly exciting to him. Imagine a passionate tour guide at an outdoor museum, who has been drinking espresso all day, and you have an idea of Allen Lowrie.